The universe of social media is inherently one of connections. Facebook can connect us to the cousin of a friend of one of our old high school buddies. LinkedIn can tell us that we are separated by three connections from Bill Gates and Warren Buffett. If social media can so easily trace a vast web of social and professional connections, why does health care technology struggle to tell us which primary care provider a patient visited or which cardiologist that physician generally refers to? Why can't we quickly and easily search for patients and then call up the entire complex and connected network of providers and health events that surround them? Facebook, LinkedIn, and other companies such as Amazon are able to navigate our vast web of interests and connections because they have embraced an innovative technology called the graph database. Designed specifically to interpret relationships between different sets of data, the graph database is the foundational technology that lets these sites build sophisticated networks around each account owner. Likewise, a graph database can be used to build a sophisticated network of connections and data around each individual patient or provider. By creating such networks, this groundbreaking social media technology has the potential to transform interoperability and care coordination. Most databases used in health care today are relational databases, which are composed of multiple tables of information. They work well with transactional systems such as EMRs, but, in spite of their name, relational databases are not very good at defining complex relationships between multiple data points. Imagine sitting down with a piece of paper and a pen to draw the connections between a particular patient and her care team. Put the patient in the center and then draw lines to connect her with a team of disparate providers: a primary care physician, the emergency department (ED) of the local hospital, a cardiologist, the rehab center, the local pharmacy. Then add specific clinical events (an ED visit, a hospital admission, a lab test, a radiology exam) and connect them to the associated provider(s). Soon, there's a complex web of people and events surrounding the patient. Now imagine handing that drawing to a database administrator and asking him to fit that complex web of relationships into a relational database. He can do it but it will take a lot of time and expertise—and ultimately will prove unwieldy. That's because relational databases force you to represent nontabular data in a tabular format. Not only is such a database hard to build, it is also difficult to search and to update as the patient's network of relationships expands. For sicker and older patients, that web of relationships and events can be mind-boggling. Now imagine the database administrator putting that drawing into a graph database, which doesn't force a restructuring of the relationships between the drawing's entities and events. Rather, it accepts the web of relationships exactly as they are. In fact, the data stored in the database directly parallel the drawing because a graph database is structured as objects connected by relationships. It goes without saying that the health care system is just as complex—if not more so—than an individual's or group's social network. The entire system needs to be connected and the connections need to be more transparent and traceable. Health care has struggled to make this happen for many reasons, one of which is the fact that data are typically trapped in individual technology system silos, ie, relational databases. The industry has made significant strides in breaking down these silos, but it still lacks a system that can aggregate information across all silos and care settings to create one external longitudinal record that is complete and accurate. In fact, rather than achieving interoperability that seamlessly serves up information into clinicians' workflow, the industry is mired in an environment of standard data exchange where data move from one silo into another. Though insufficient, this data exchange is still critical. It receives vast amounts of information flowing between systems. System A sends data to systems B and C, with each system consuming the information according to its data model. What is missing is any sort of meta-cognition about the relationships existing in the data. What is needed is a solution that can plug into the existing data flow—that can monitor the flow and make associations and relationships between data elements as they move from system to system. Capturing and relating the data in this way is possible using graph database technology. In fact, associations, correlations, and relationships can be captured in a graph database as a natural artifact of simply "listening in" on the flow of data. For example, an HL7 message flowing from system A to system B reveals that John is being treated by Dr. Yu. Another message flowing from C to B contains the information that John is also being treated by Dr. Brown and Dr. Hernandez. In a third message, John has received treatment from Dr. Clark. Because these systems do not keep track of the totality of data relationships, a peek inside any one of them would not reveal all of the providers related to John. However, a graph database can and does make these associations, making it possible for a query to show that John's care team consists of all four physicians. Graph database technology makes it possible to free data in practical and unprecedented ways. The following are just a few of the use cases in which graph databases can overcome the challenge of connecting health care. Many health care organizations have a real challenge finding out which physicians or team of physicians across the continuum are participating in the care of a particular patient. As mentioned, graph database technology enables organizations to dynamically create and access a care team map. As data about a particular patient flow into the system, new members of the care team can be added to the database and related appropriately to that patient. Any nurse or physician who needs to know who is providing care to the patient can simply pull up the provider map. They can view not only the names of the providers and the specific care events that link them to the patient but also their roles, where they practice, their schedules, and their contact information. This transparency improves patient care and has important implications for value-based reimbursement and bundled payments. A graph database enables organizations to view all of the providers associated with a clinical event and ensure bills and payments are appropriately allocated and submitted. For many years, health care organizations and technology vendors have worked to create complete longitudinal patient records. Unfortunately, most of these records remain incomplete or, at the very least, lack contextual information surrounding a patient's care. For example, a typical longitudinal health record may indicate that a patient had a lab test and display the result. It might even trend a series of results for a repeated lab test. A graph database—linked to a clinical document repository—can deliver that information plus the context surrounding that information. For example, it could show the provider responsible for that lab order, his practice schedule, his provider ID, and how many times in the last year the patient has seen that provider. It can raise awareness of other events that have taken place in the patient's care, such as a medication prescribed as a result of that lab result, how long the patient has been on the medication, and when the last prescription was filled. If the organization has permission, it could then look at how many other patients that provider has treated for the same condition and how often that medication was prescribed. Graph technology simplifies the process of notifying the right members of any care team about a patient's meaningful events, most notably transitions of care. Simply put, when an organization has a complete picture of the providers who compose a patient's care team, it is much easier to alert the right people about the patient's clinical events and care needs. Imagine that a hospital is discharging a patient to a cardiac rehab center. Because the hospital has access to the patient's care team map, it can send out an alert about this discharge to all of the relevant providers: the primary care physician, cardiologist, etc. It can send a discharge summary and other critical information. In turn, the rehab center can use this same care map to ensure better care coordination as the patient leaves the center. Of course, this approach won't be effective without the confidence that the discrete data elements are related to the right patient, provider, and event. That's why an engine that accurately matches patients and providers must underlie the graph database. 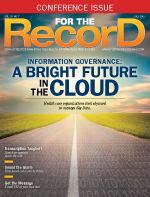 Patient-matching and provider registries must be built correctly to ensure a single best patient and provider record, connected together as part of a sophisticated web of events and networks. With such a network of related data elements in place, fully connected health care can become a reality. — Andy Aroditis is CEO and founder of NextGate, ranked No. 1 in KLAS for enterprise master patient index.